The Fellowship was fortunate enough to obtain a copy of DOCTOR ATLANTIS Volume 2 from Rare Earth Comics. Ian Ally-Seals and Carl Mefferd are the creators. Dr. Julius Fowler is a scientist and adventurer in possession of the Atlantis, the most advanced ship of its time (especially since it’s almost completely automated). Chosot is an islander whom Fowler rescued from a life of slavery. 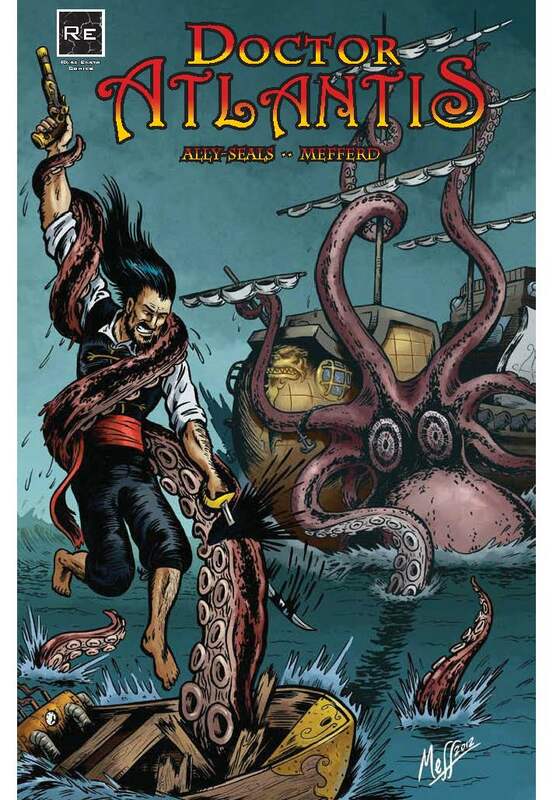 Chapters 4 through 6 give us the story of Chosot’s freed people and their quest to get home, including battling sea monsters and Fowler’s former captain. Pirates are persistent in cultural terms; they never get huge, but they never seem to go away either. And in fairness, this isn’t quite a pirate book. A better label would be ‘seafaring steampunk’, I think. And it’s a very well done example of it; the story is solid and exciting, and the black & white art works nicely. I’d rather have this than a pirate story any day; Fowler especially is a more interesting character than any pirate I’ve seen in the last decade. This book is a rollicking good tale of epic swashbuckling adventure with some great steampunk overtones. Great fun for any reader. 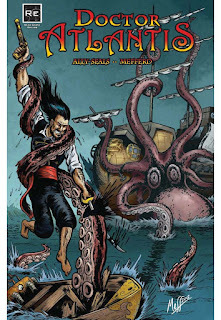 DOCTOR ATLANTIS Volume 2 is available now at your FLCS or by order from rareearthcomics.com.